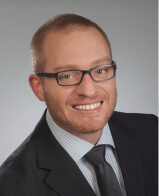 Dr. Knoll received the award for his extensive scientific and clinical work on the interventional treatment of urolithiasis and benign hyperplasia. He recently performed a large study on the pathogenesis and prevention of calcium oxalate and cystine stone formation. A special presentation during the 2013 World Congress of Endourology & SWL (WCE) annual meeting in New Orleans, LA, honored Dr. Knoll for his accomplishments. Cook Medical is proud to partner with societies to recognize physicians for their creativity and dynamic innovation in the field of urology. 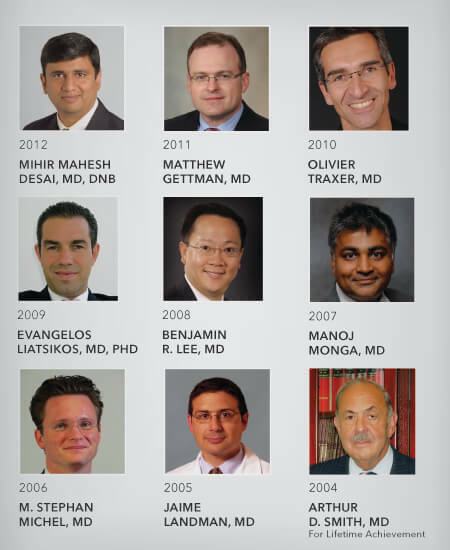 Each recipient, chosen by the Endourological Society, must be within the first 10 years of practice after completing a urology residency or fellowship. The initial award was presented to Dr. Arthur Smith, the famed “father of endourology,” in 2004 and was subsequently named in his honor. It was presented as a lifetime achievement award at the end of his presidency of the Endourological Society at the WCE annual meeting in Mumbai, India. Throughout his career, Dr. Smith remained one of the leading innovators in the field of endourology, pioneering several new operative techniques that are used in the percutaneous treatment of kidney stones and transitional cell carcinoma, and in endopyelotomy.